Gothic means related to the Goths. In the Late Middle Ages, Gothic art, a Medieval art movement lasted about 200 years. You can now bring this time back in with fashion, especially with Gothic contact lenses. Gothic Fashion is a dark, sometimes morbid, eroticized fashion and style of dress. 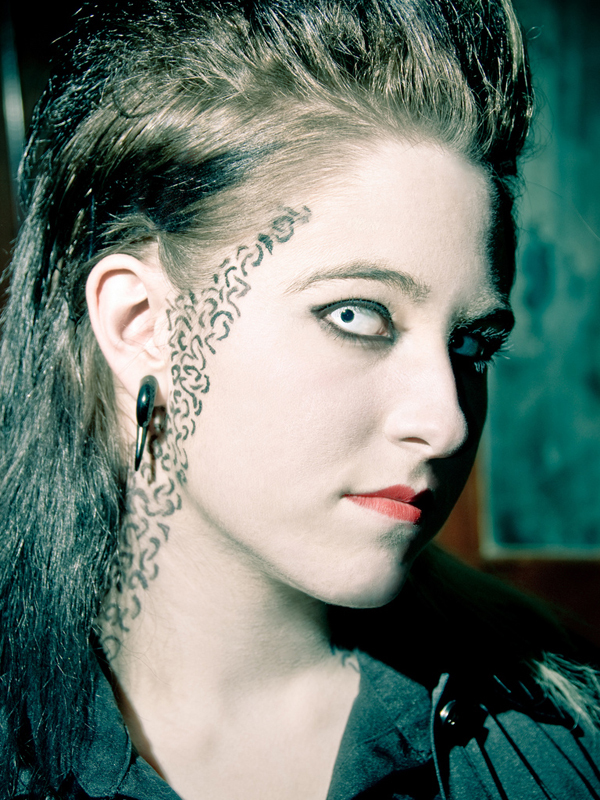 Typical Gothic fashion includes black dyed hair, black clothes and of course to top it off, black or white gothic contact lenses. Both male and female goths sometimes wear dark eyeliner and paint their nails black. The style also includes fishnet stockings, black leather thigh boots, and witchy eye make-up which goes perfectly well with white contact lenses.Goth is a revolt against the slick fashions of the 1970�s disco era and a protest against the colorful pastels and extravagance of the 1980�s. Black hair, dark clothing and pale complexions and (white, black or red) scary vampire contact lenses provide the basic look of the Goth Dresser. The exotic tropical wolf eyes are also from another part of the world. Intriguingly unusual or different, these crazy contacts have been known to be excitingly strange. Itachi exotic eye contacts also come in red with black dots inside. These are also refered to as the itachi contact lenses which are also known as Sharingan Eyes. Itachi Uchiha is from the anime Naruto. These wild contact lenses are an excellent compliment to any anime comic character. Tell a friend about Coco Contacts and get a $10 Gift Certi?cate Each for your next Order of any colored contact lens. A collection of freaky eye contacts for when you want to look grotesque and monstrous. Want to look frightening, a little weird and very strange? We dare you wear these freakish contact lenses. Copyright © 2007 - 2012 cococontacts All rights reserved. T&C. Cococontacts.com has been serving the best colored contact lenses since 2007. Choose from our wide selection of color contacts for brown eyes, colored contacts for dark eyes, or special effects contacts. We have Halloween color contact lenses and non-prescription colored contacts from famous brands such as Freshlook, Acuvue 2 Colors and Freshlook Contact Lenses.